Ford has officially opened the ordering books for the 2017 F-150 Raptor. Now hungry buyers can put in their order for the truck, either online or at local Ford dealerships. Despite the books just now opening, Ford says interest in the Raptor is exceeding all its other performance products, which includes vehicles like the Mustang GT350 and Ford GT. More than 30,000 Raptors have been virtually built on Ford’s Build & Price website in the last 10 days alone, with more than 90,000 hits to the page. What’s more, dealerships already have a backlog of waiting customers. Team Ford in Las Vegas says it already has roughly 300 customers on a waiting list. And despite being one of the highest volume Raptor dealerships, Owner Steve Olliges says he’s having to turn customers away since he’s over his allocation limit. Ford also reports that of all the F-150 Raptors slotted to be build, 65 percent of them are marked as early orders from retail customers. Sadly Ford keeps its production numbers on the down low, so it’s impossible to quantify that percentage. It’s also interesting to note, Ford says of the 30,000 Raptors built of the Build & Price website, roughly 91 percent are SuperCrew versions. The Luxury Group also has a 90-percent selection rate, while the 77 percent of the builds include the Technology Package. And almost in homage to Henry Ford, Shadow Black is the most commonly selected color. 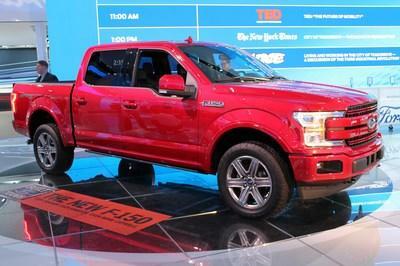 The Raptor will begin production in November and shipments will likely begin sometime soon after that. We’d bet dealership markups will be common, shooting the Raptor’s base MSRP of $49,520 through the roof. The first-generation Raptor sometimes experienced markups as high as $10,000 over MSRP according to past reports. The 2017 Ford F-150 Raptor is no doubt a highly anticipated vehicle. The first-generation Raptor sold far better than Ford expected and the high-speed off-road market has exploded because of it. Now moving into its second generation, the Raptor will surely become more popular. 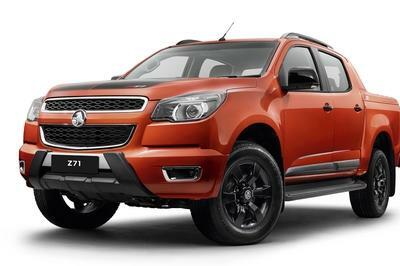 Much of that popularity can be attributed to its technological advancements and aggressive styling. It’s worthy of a bedroom poster or computer wallpaper. 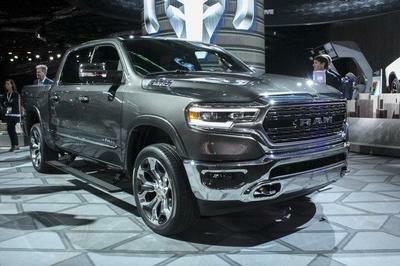 Dreamers have a lot to obsess about – from the high-output 3.5-liter EcoBoost V-6 and 10-speed automatic to the lightweight aluminum skin, BFGoodrich All-Terrain T/A KO2 tires, and laundry list of optional features. The spouses of dreamers will enjoy the comfortable interior and everyday usability the Raptor provides. The Raptor can actually be used as an honest pickup truck when not tearing down the trails at 100 mph. Still, the Raptor isn’t a cheap thrill. Most examples will have price tags ranging between $50,000 to $60,000. That’s big money. Regardless, Ford will sell a boatload of these things every year. Read our full review on the 2017 Ford F-150 Raptor here. As full-scale production is set to begin on the all-new 2017 F-150 Raptor in November, orders are already pouring into Ford dealerships nationwide as customer waiting lists grow and traffic on the Ford.com website topped 90,000 hits to the Raptor build and price page in the first 10 days online. Performance, capability and technology improvements across the board make this the Toughest, Smartest, and Most Capable Raptor ever. With a starting MSRP of just $49,520 Ford dealers are seeing interest in the next-generation purpose-built off-road performance F-150 Raptor engineered by Ford’s Performance team. Team Ford in Las Vegas has been one of the most successful Ford Raptor dealers in North America. Owner Steve Olliges, who races Raptors professionally off-road, says he already has nearly 300 customers on a waiting list. He fields two to three calls a day from customers across the country looking to place an order, turning many away due to supply allocation limits. 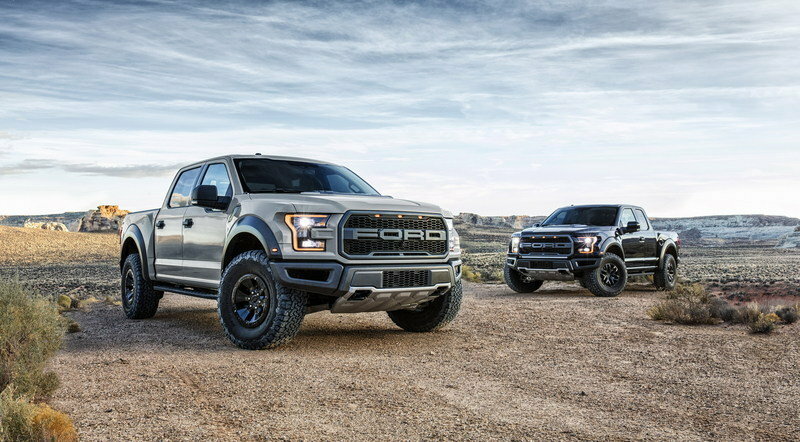 While Ford does not publically disclose production numbers, of the Raptors scheduled for production, 65 percent of early orders are identified as retail orders for a specific customer. The largest markets so far include Texas, California and Florida. Meanwhile, in the first 10 days online, the Raptor Build and Price configurator on the Ford.com website has already seen more than 90,000 hits with nearly 30,000 completed builds. Of those completed online builds 91 percent are SuperCrew. 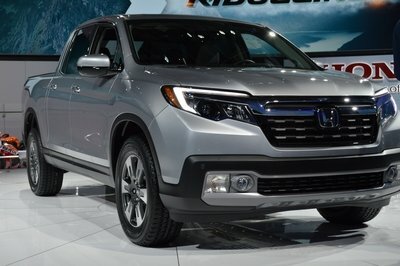 Meanwhile, the Luxury Group, which includes features like 360-degree Camera and Blind Spot Information System (BLIS), has a 90% take rate and the Technology Package, which includes features like Lane-Keeping System and Adaptive Cruise Control with Collision Mitigation, has a 77 percent take rate. Shadow Black is the most common paint color. 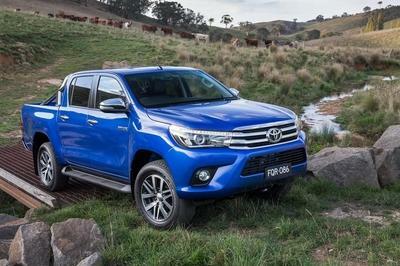 “This is one of the fastest and most popular product launches we’ve seen in some time. Site traffic volume on the Raptor pages is currently more than five times our other performance vehicle lines and dealer demand is far ahead of expectations, which demonstrates to us that the Ford Performance team hit their mark with the new F-150 Raptor” said Rob Rosenbach, Ford F-150 brand manager.